Good meal, good price, great service. Highly recommended. We was there at lunch. Nice crowd but the service was quick, friendly and with a smile. Refills were offered. The server was nice but not too pushy. The food was delicious. Highly recommended. Food tasted warmed from a freezer, staff was 2 stars. I usually love shoneys but I recommend looking elsewhere. 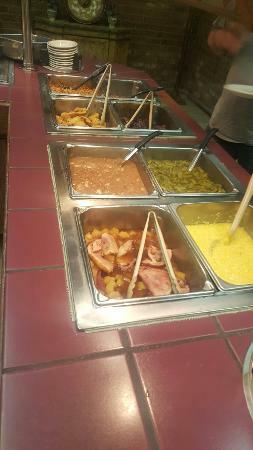 Very Clean, Friendly place to eat , buffet was in great shape and well Stocked with hot foods,and cool Crisp salads. Excellent Server's and Friendly. 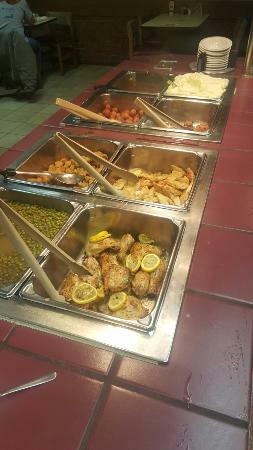 Great value and lots of great choices on the buffet for every taste. Quick and casual dinning, Give it a try!! 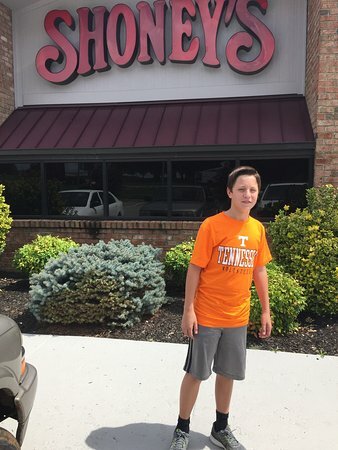 We have eaten at the other Shoney's in Harriman, TN which we like very much. This one is similar but in our opinion the other is better. The attention and service was very good, but again, we consider the other better . Buffet was ok, could have had more variety. You defiantly have the opportunity to get full. Service was good. We stopped while passing through and loved it. Our waitress was very friendly and the food was good. We all got the buffet to make it easy and it was very good. Loved the salad bar.